When workers join forces to defend their rights, the first order of the day is to know what they are aiming for. That’s why Scandinavian trade unions make a habit of consulting their people in order to devise a strategy for the change they want. Honouring this proud custom, the port sector coordinator of the Swedish Transport Workers Union and the ITF Port of Convenience inspector are making a tour of Swedish harbours. While listening to the workers’ concerns, they talk about Fair Transport. 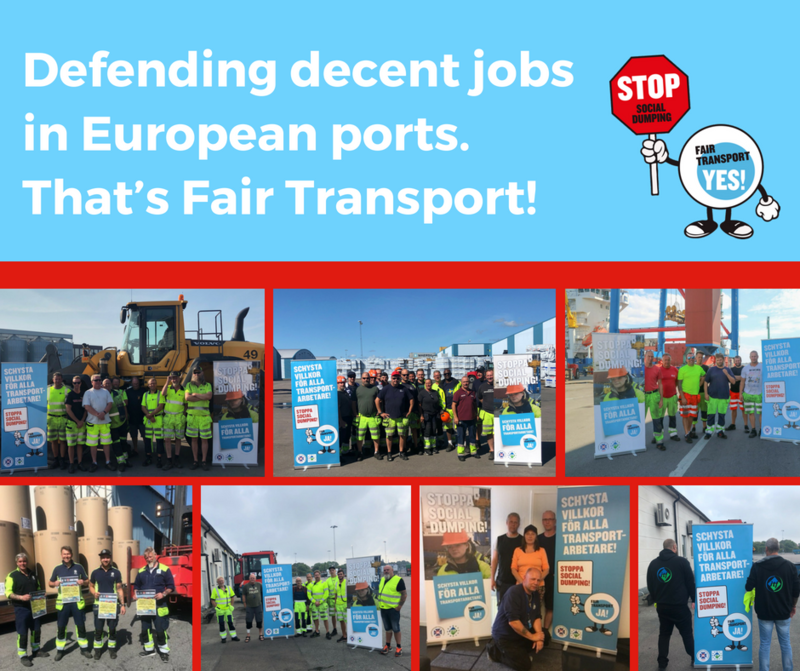 Like ETF-affiliated trade unions across Europe, they emphasise the need to join up with workers from all transport sectors to stop the erosion of our social and labour rights. At the same time, they talk about the implications of the campaign for dockers specifically. A perennial hot topic in our harbours is the issue of lashing. As dockers know, securing cargo is dangerous work and if it is carried out by untrained workers it can lead to injury or even death. For this reason, maritime employers and the ITF have signed a framework agreement which states that lashing can only be done by qualified dockers, unless otherwise agreed by the local ITF dockers’ unions. Unfortunately, some shipping companies seek to speed up port operations or save money by asking seafarers to carry out lashing and unlashing work. Such practices not only put the lives of seafarers at risk, they also deprive dockers of their jobs. 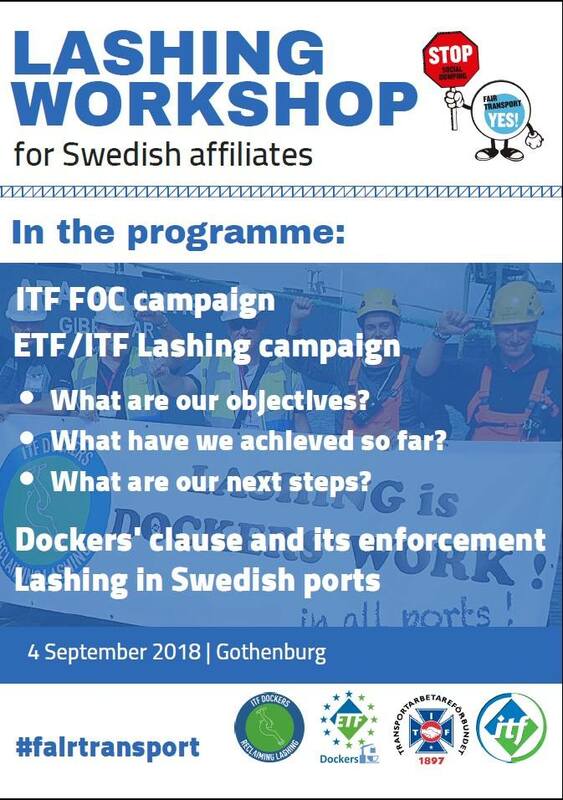 To plan the next phase of the ETF/ITF lashing campaign in Sweden, the Swedish Transport Workers Union is hosting a workshop in Gothenburg on the 4th of September. We have to keep fighting to ensure that every single dockers’ job is done by dockers. For more than 70 years, solidarity between dockers and seafarers has been at the core of trade union campaigns in the maritime and port sectors. By rallying to the flag of Fair Transport, Swedish workers are showing that this solidarity is as strong as ever.